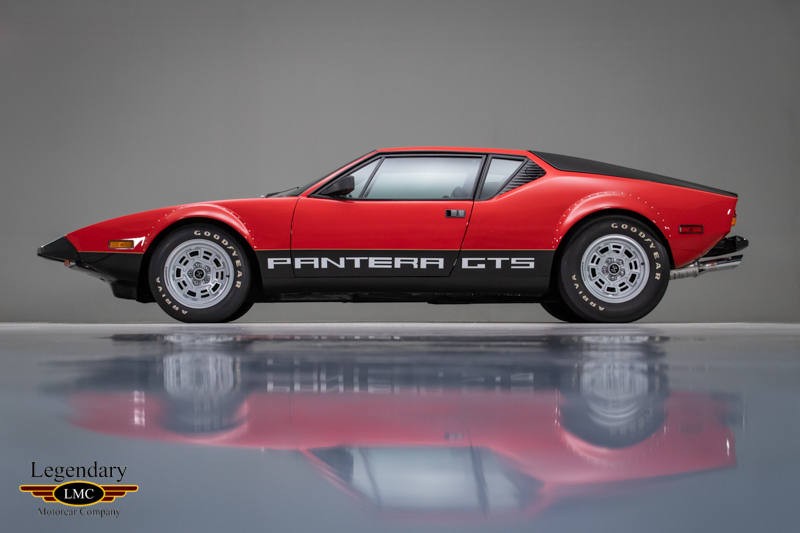 Click any thumbnail below to display the 1974 De Tomaso Pantera GTS slide show. 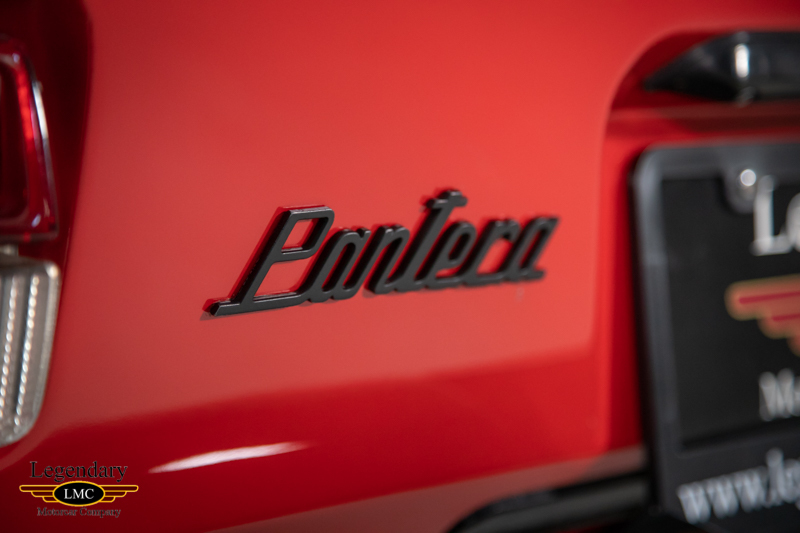 Having already established himself as a serious automobile manufacturer with the introduction of the Mangusta Coupé, Alejandro De Tomaso commissioned Lamborghini designer Gianpaolo Dallara to produce the chassis for his following project, the mid-engine supercar by the name of Pantera. 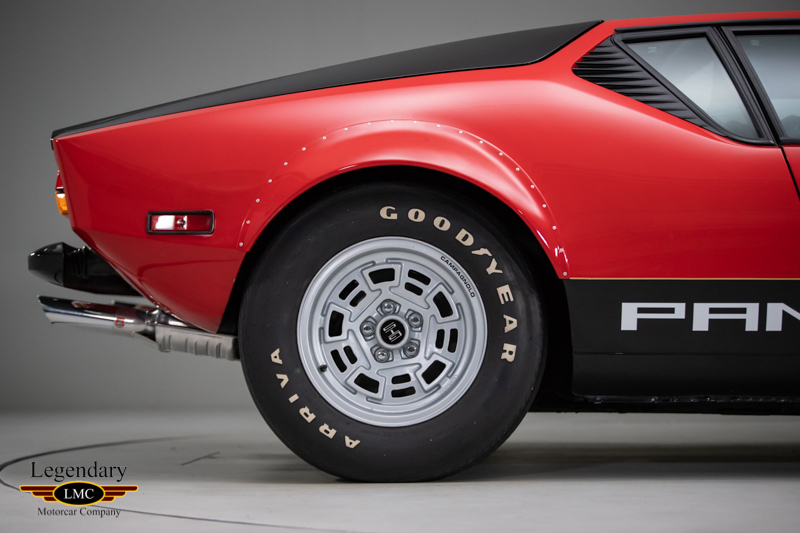 Ford Motor Company was DeTomaso's partner at the time of the Pantera's introduction in 1971. 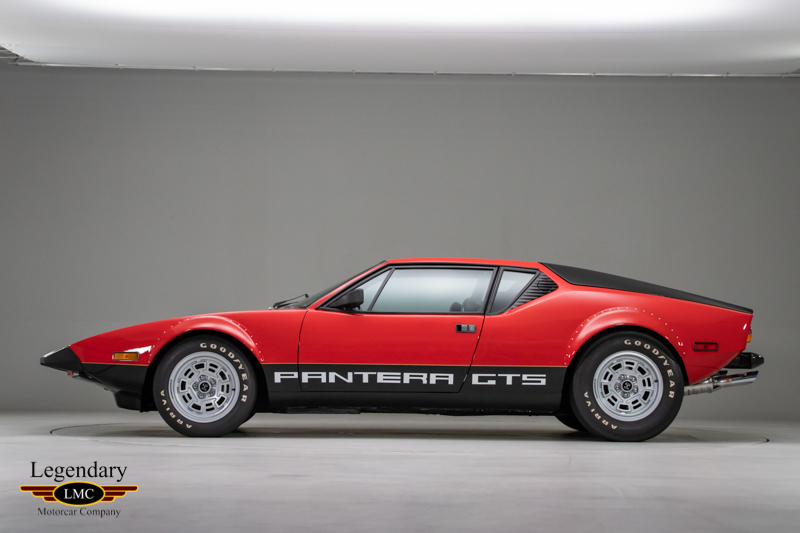 Just like the earlier Mangusta, the Pantera relied on a Ford V8 power plant mated to a ZF all-synchro five-speed transaxle. 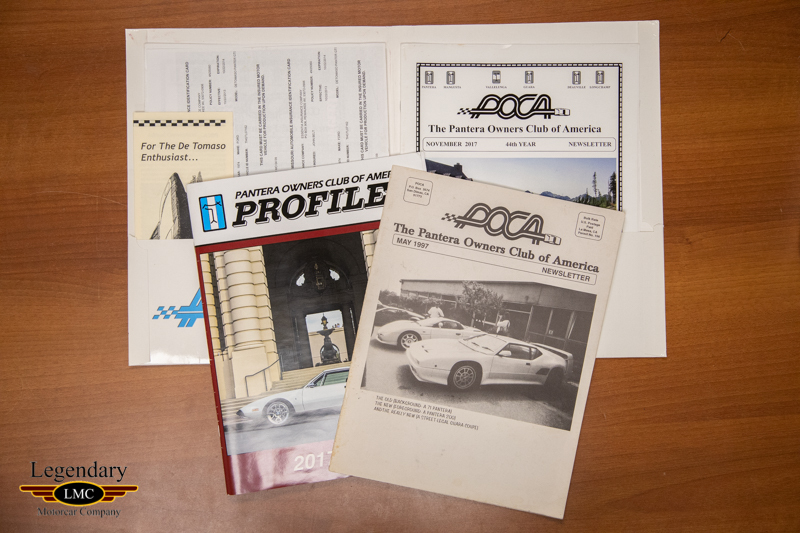 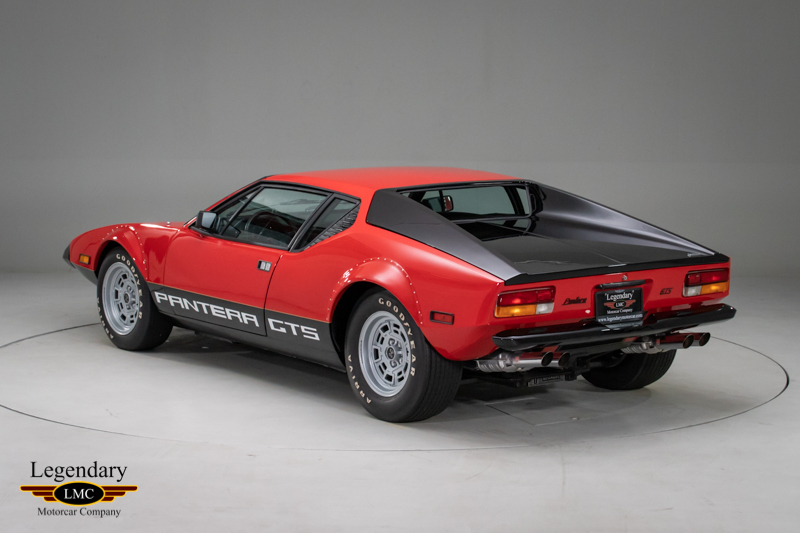 DeTomaso's relationship with the Ford Motor Company led to an arrangement whereby the Pantera was distributed through select Lincoln-Mercury dealerships in the USA until the 1974 when Ford and DeTomaso decided to part ways. 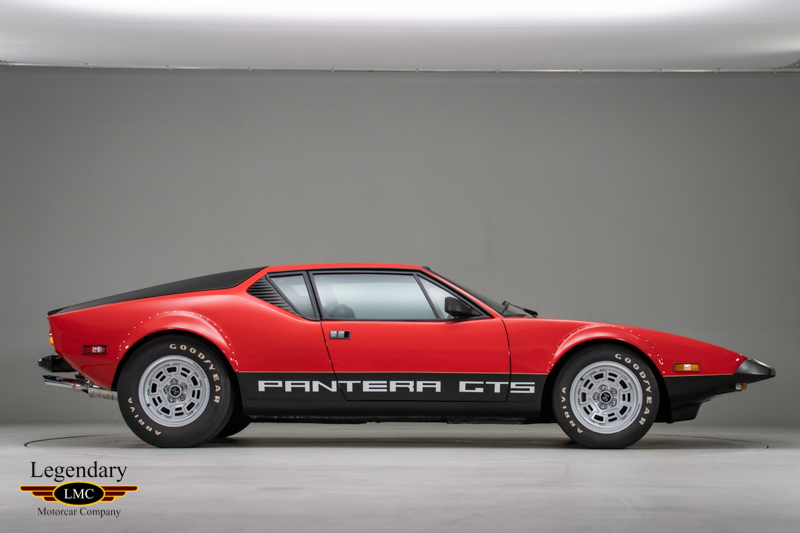 After this point, DeTomaso continued to sell the Pantera in Europe. 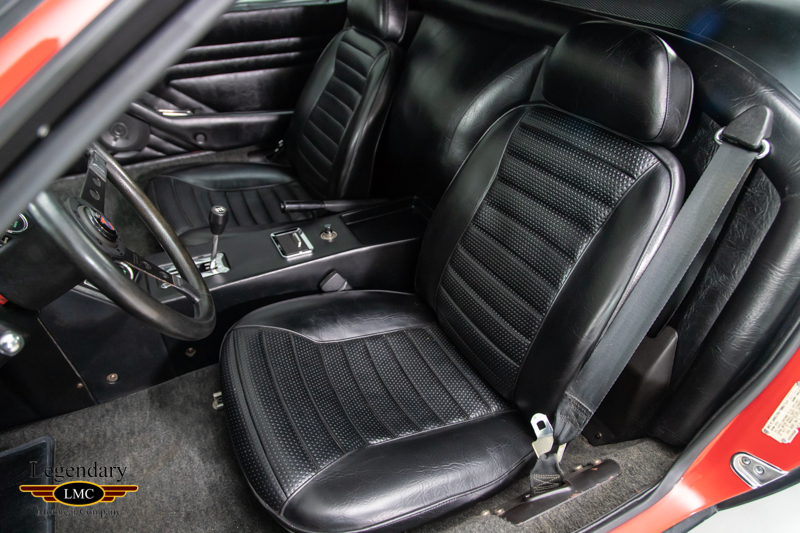 For the 1974 model year Ford offered 138 US spec GTS to the market (98 to the 49 states and 40 re-documented as 1973 models for California). 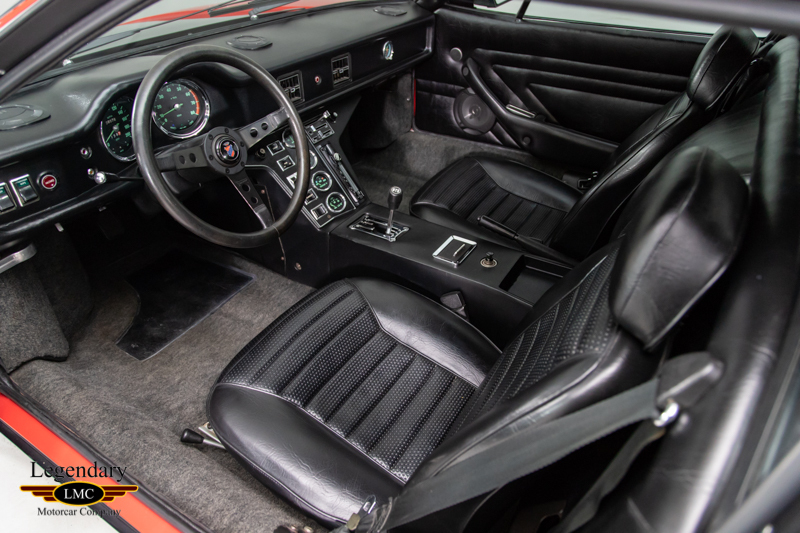 Due to the falling out between Ford and DeTomaso all references to DeTomaso were removed from the coach of the US spec GTS and replaced with either GTS or Ghia badges. 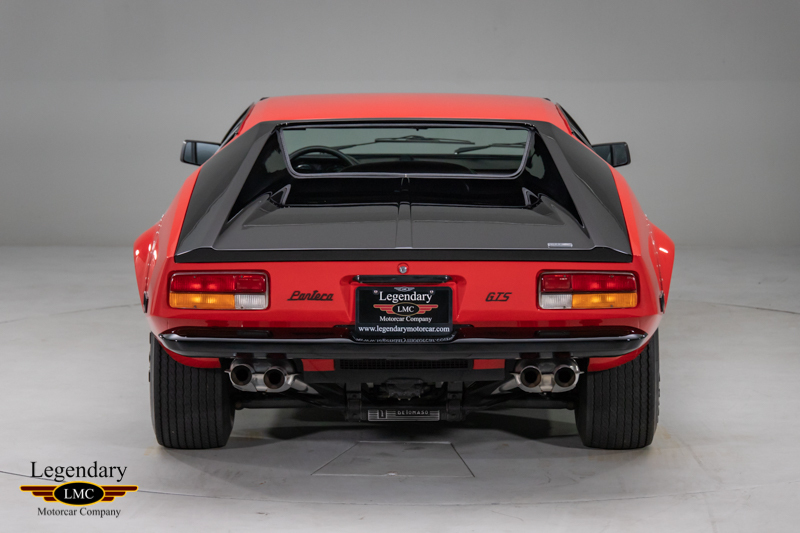 This 1974 DeTomaso Pantera GTS is just one of just 97 produced for the U.S.-market and has just 8,900 original miles on the odometer. 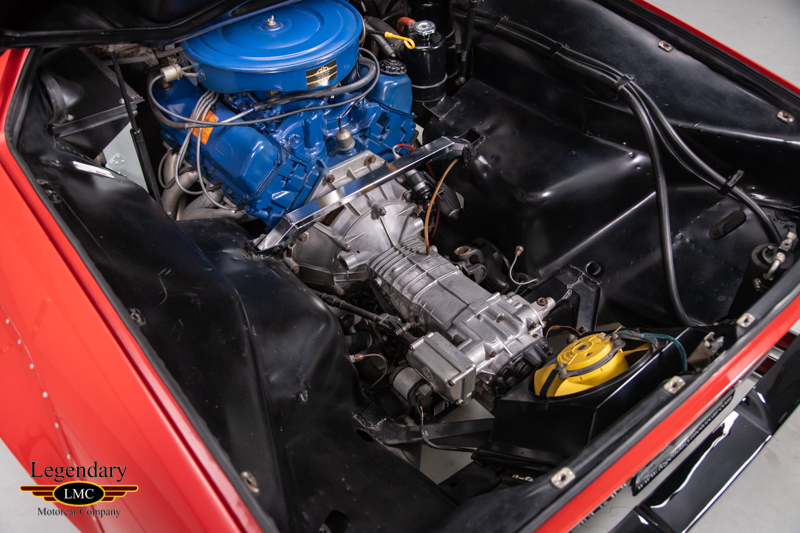 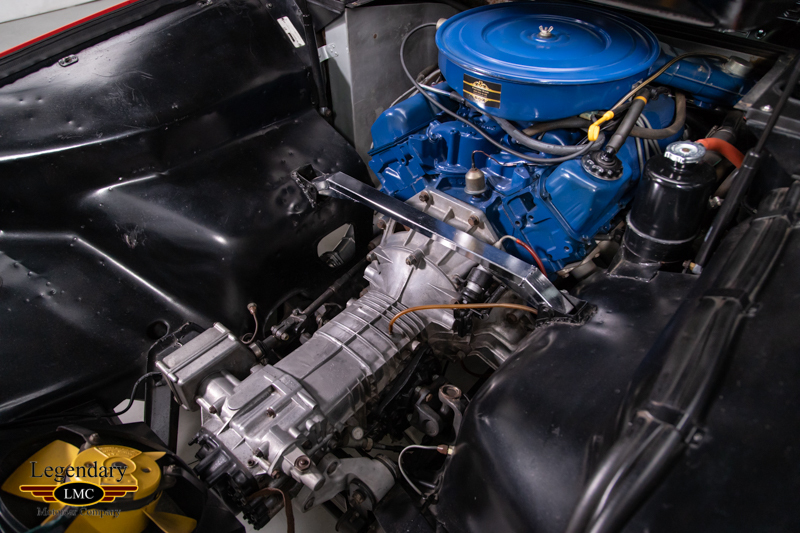 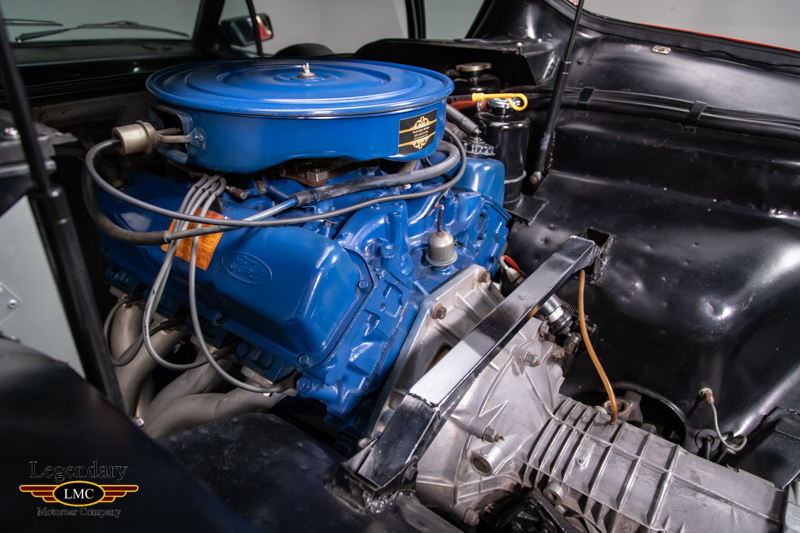 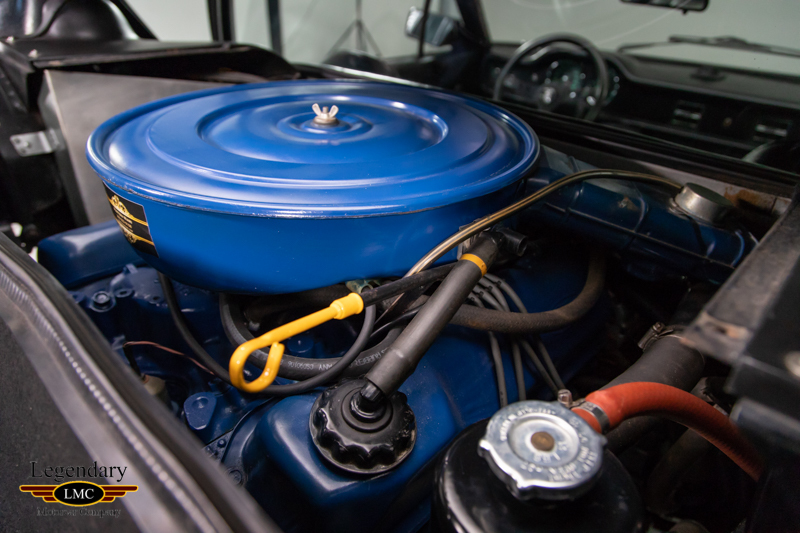 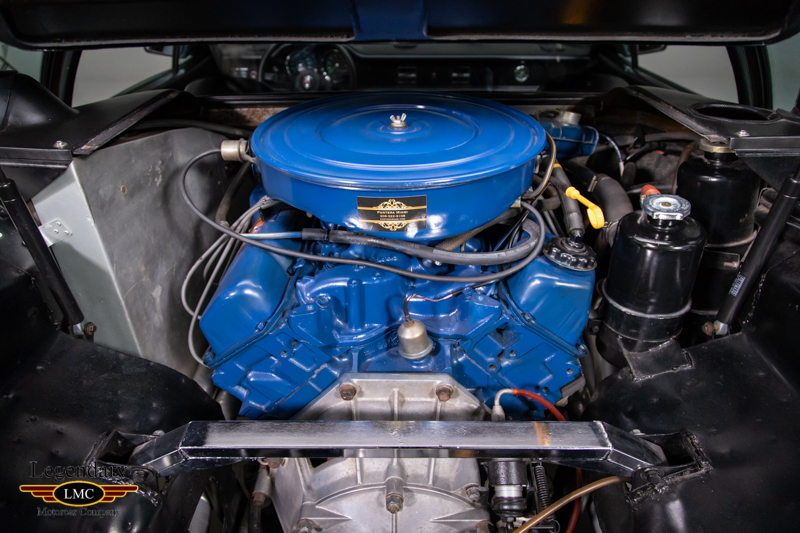 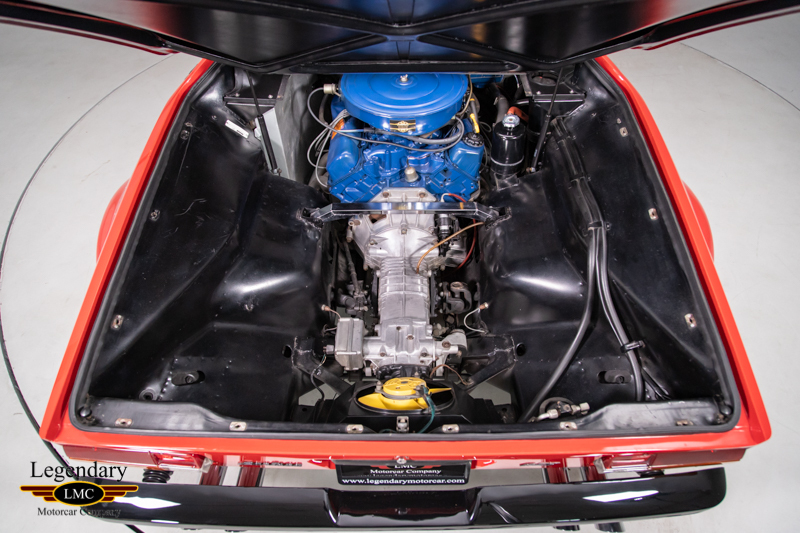 The 351ci Cleveland Ford V8 produces 266 HP and 301 lb-ft of torque with single 4-barrel carburetor backed by a ZF 5-speed manual transmission. 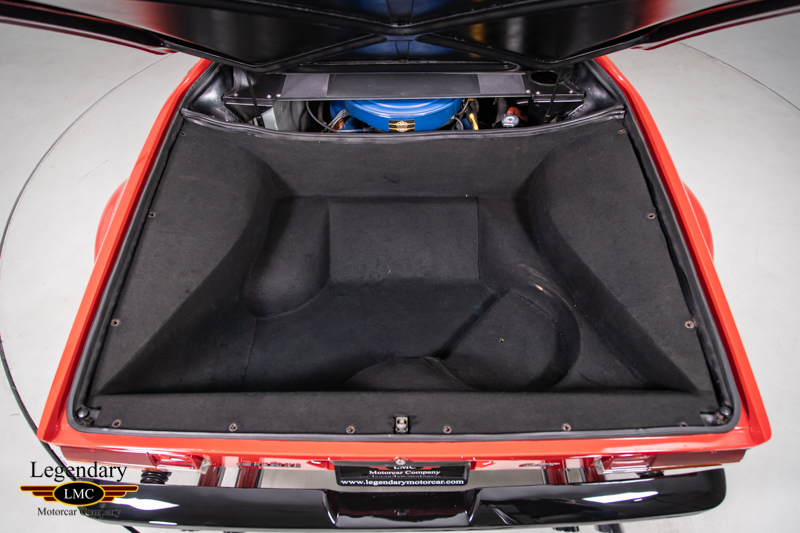 Independent unequal length A-arm suspension with front and rear anti-sway bars works with rack-and-pinion steering for supercar-level road control. 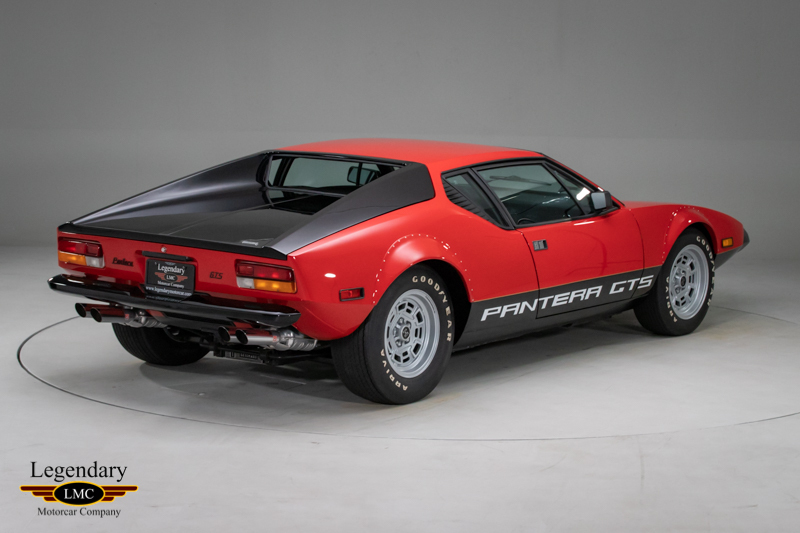 American-market Pantera GTS left DeTomaso with a blacked-out hood and deck lid, black anodized trim, special exhaust tips, rivet-mount fender flares, sport steering wheel and rocker-panel graphics. 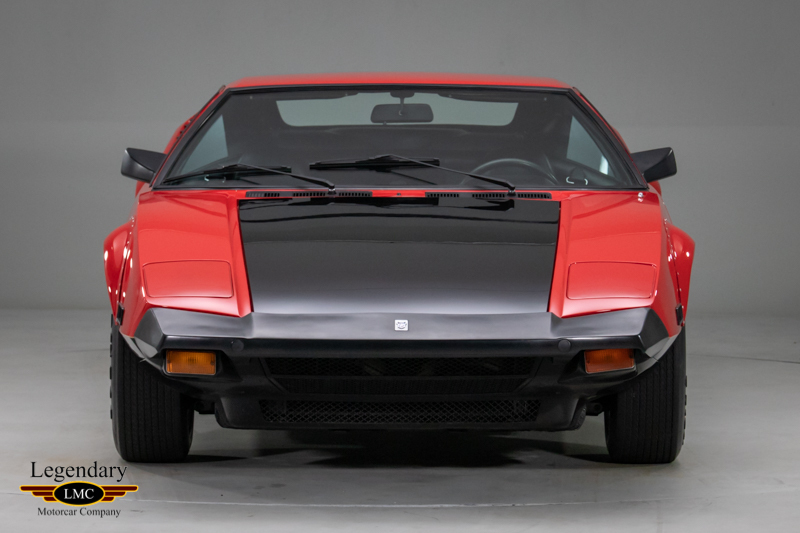 A removable rear-window louver accents the black and red paint on the monocoque body. 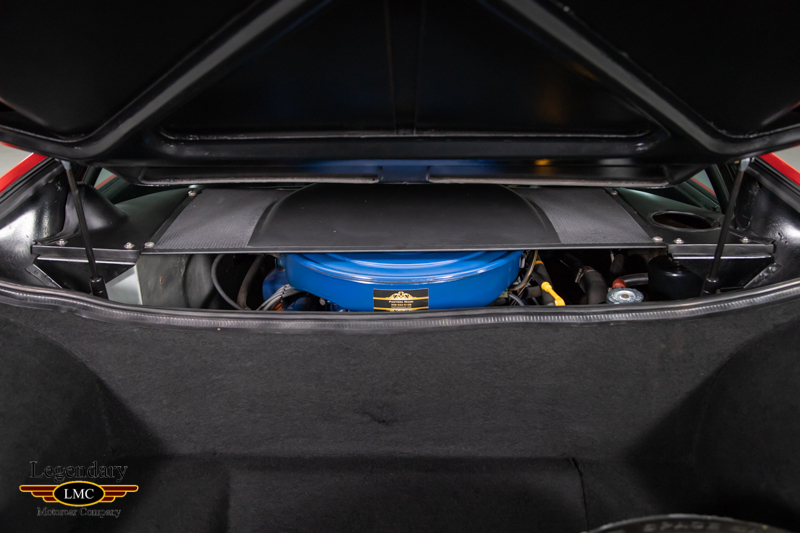 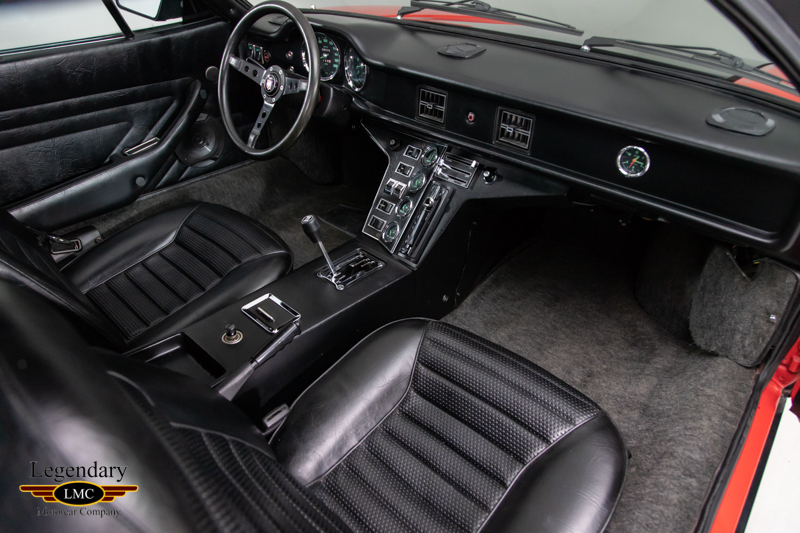 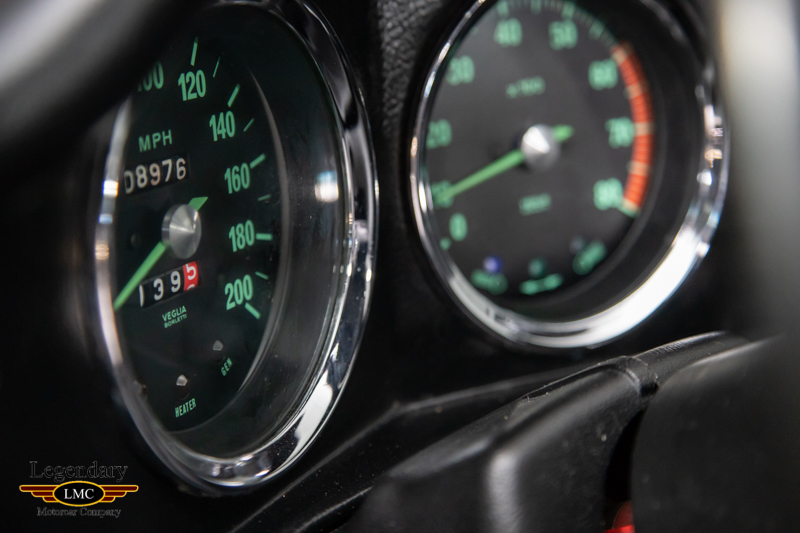 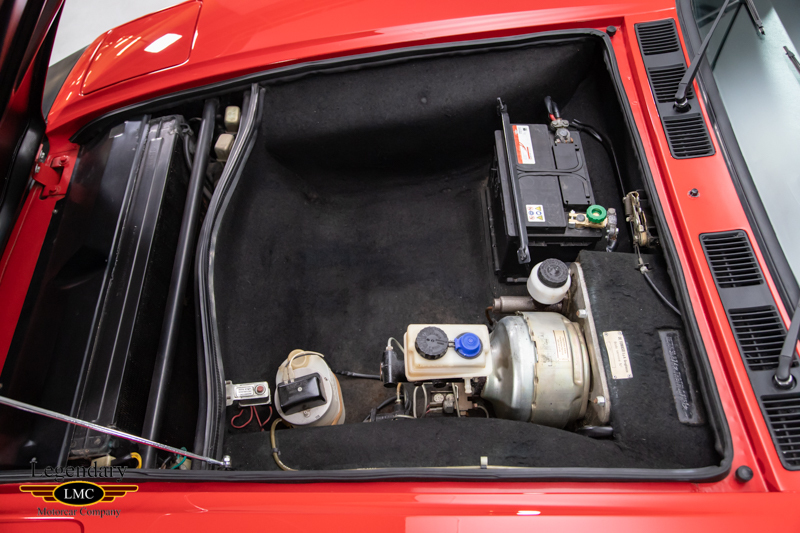 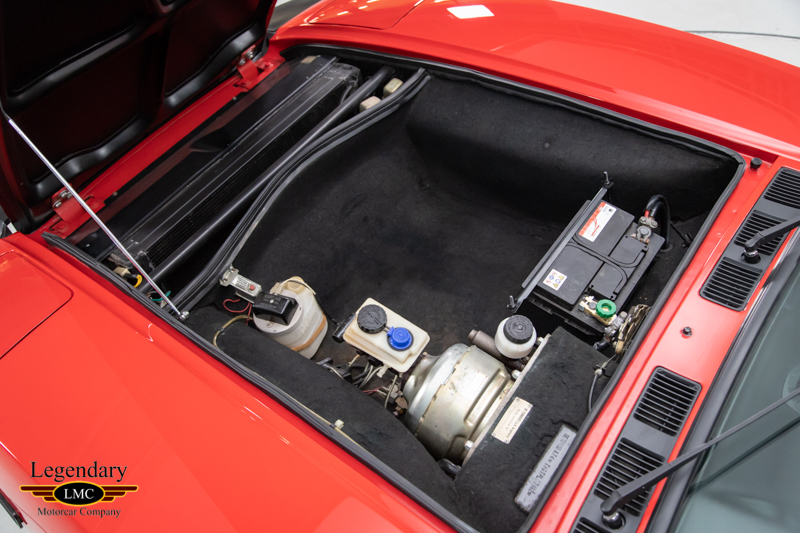 Electric windows and air conditioning add luxury to sport in the '70s-perfect interior, and a 200 MPH speedometer and 8,000 RPM tachometer are ready to gauge 6-second 0-60 MPH launches and the Pantera’s 150 MPH top speed. 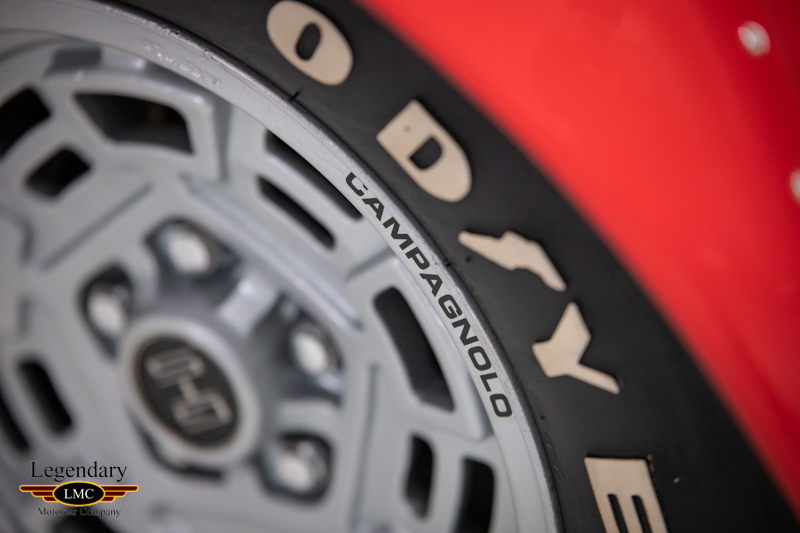 The Pantera GTS rolls on Goodyear Arriva tires mounted on 15x8-inch rear and 15x7-inch front Campagnolo magnesium wheels with a spare in its factory-issue location. 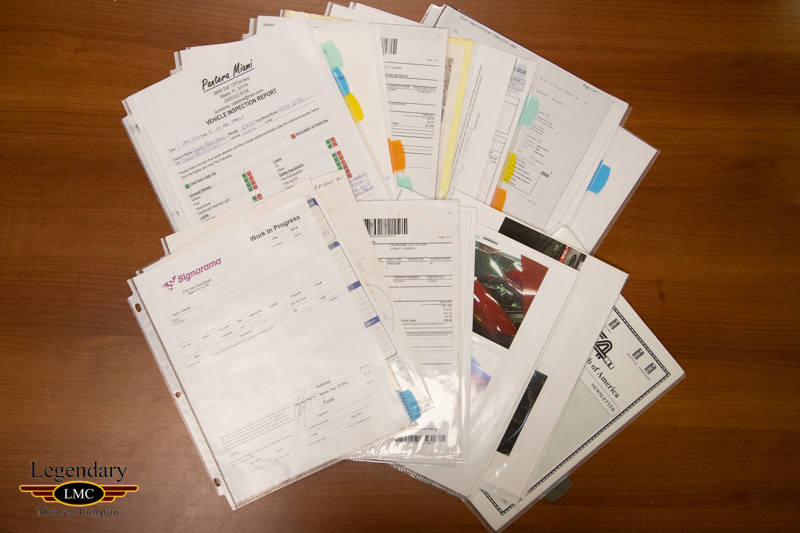 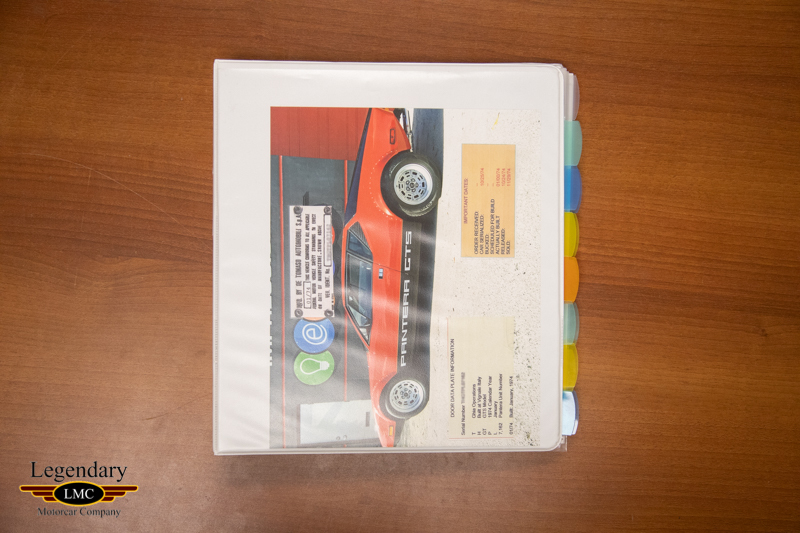 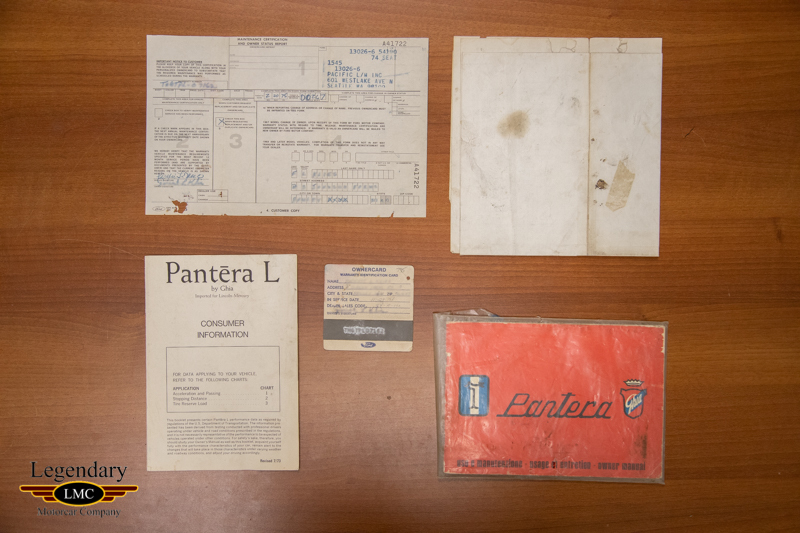 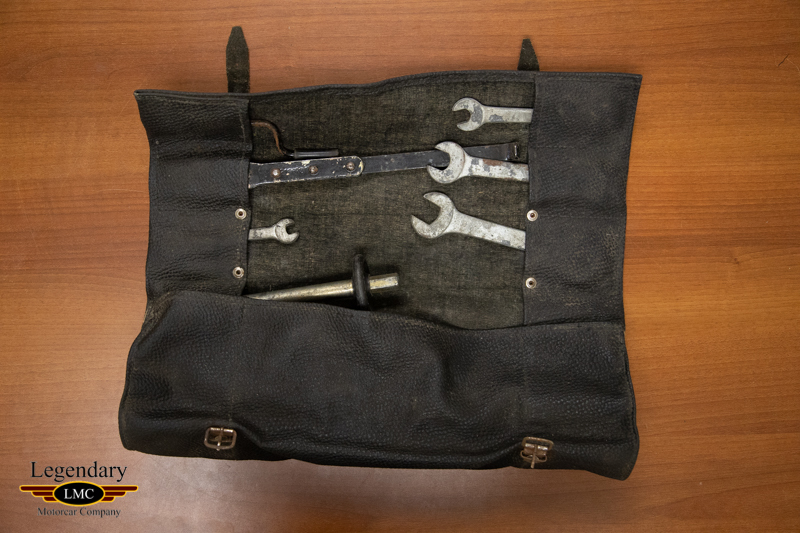 This low mileage Pantera GTS comes with its original owner's manual and books, Ownercard, tool kit and miscellaneous records. 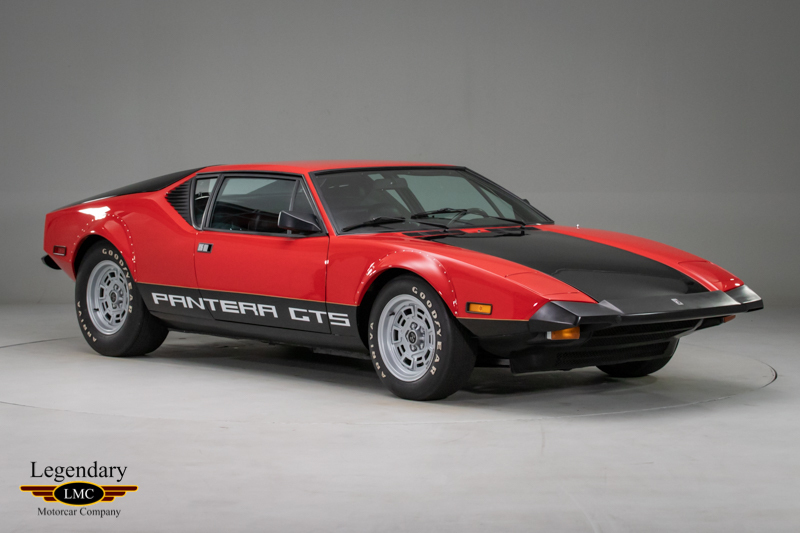 With it’s drop-dead looks, blistering performance and extreme rarity, this Pantera GTS has it all. 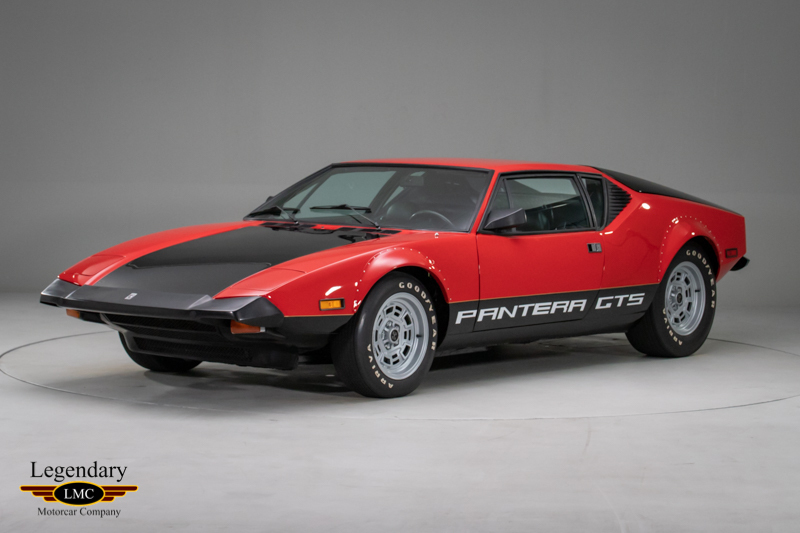 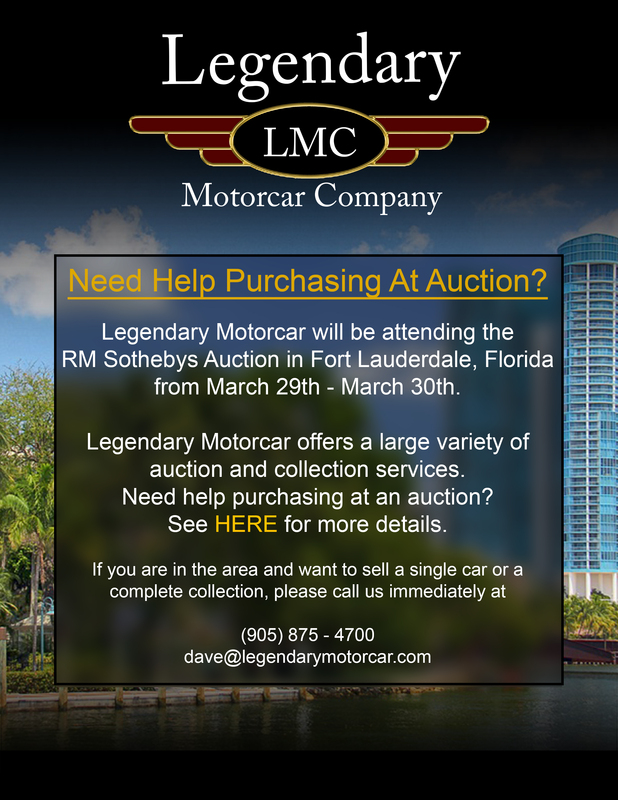 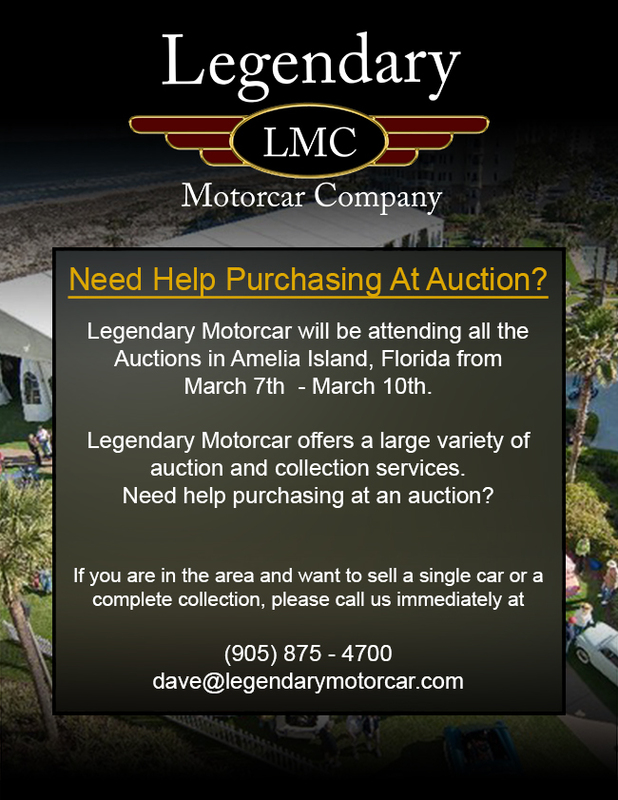 Legendary-Motorcar-Company-Ltd-2018-167 De Tomaso 1974 De Tomaso Pantera GTS 2018-167 165000.0000 Legendary Motorcar Company Ltd.